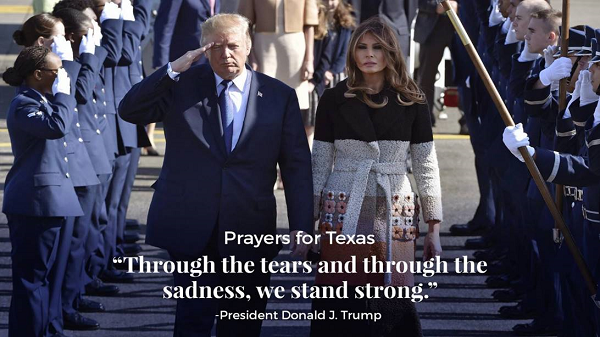 Our thoughts and prayers are with the victims of last Sunday’s horrific, deadly attack, in Sutherland Springs, Texas and their entire community. This heinous act of evil occurred as the victims and their families were in their place of sacred worship at the First Baptist Church. Thankfully, a heroic neighbor acted quickly and decisively to chase the attacker away and bring an end to this evil, though so many lives were already lost. In dark times such as these, Americans do what we do best: we pull together. We join hands, lock arms, and through the tears and the sadness, we stand strong. Please join us in praying for the good people of Sutherland, Texas. We will never leave their side. BRINGING NEW JOBS AND COMPANIES TO AMERICAThe US economy continues to experience worker-friendly growth. The Bureau of Labor Statistics reported that NFPs (nonfarm payrolls) grew by 261,000 jobs in October while the unemployment rate fell to 4.1 percent, the lowest rate since the Year 2000. 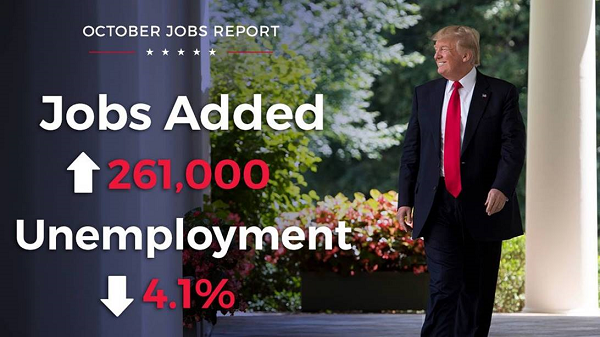 This brings the total of new jobs created to 1.5-M since President Trump took office. Now, 82% of people polled believe the American Dream is within their reach. President Trump was excited to build on this good news with the announcement that Broadcom Limited (Global Chip Maker) is moving its headquarters from Singapore back to the United States. With this commitment, more than $20-B in annual revenue will come back to American cities, towns, and workers. COMMITMENT TO THE INDO-PACIFIC REGIONLast Friday, President Trump departed for Asia, on what will be the longest trip to the continent by an American president in more than a quarter century. 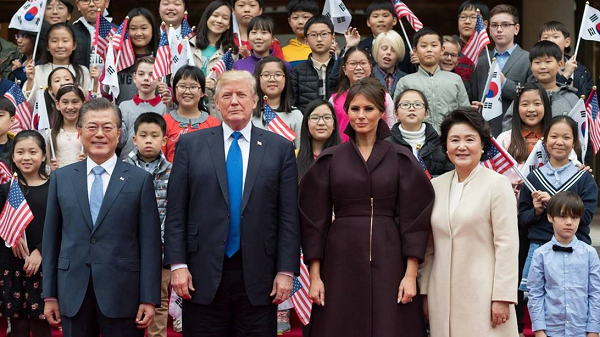 The President has several major objectives on this trip, including demonstrating our nation’s commitment to Asia, strengthening international resolve to de-nuclearize NKorea, promoting a free and open Indo-Pacific, and advancing American prosperity. This trip will strengthen US alliances and partnerships with visits by the President to Japan, SKorea, Vietnam, the Philippines, and China. President Trump is addressing a wide array of strategic issues with foreign leaders, including a huge announcement of billions of dollars in agreements with China. WORKING FOR THE MIDDLE CLASSOver the last decade too many hard-working Americans have struggled to find good-paying jobs, make ends meet, and provide for their families. They are the focus of President Trump’s tax plan. Strengthening and growing the middle class, and keeping more money in peoples’ pockets, is how we will build a stronger America. At the same time, taxpayers deserve a system that is more fair and simple. 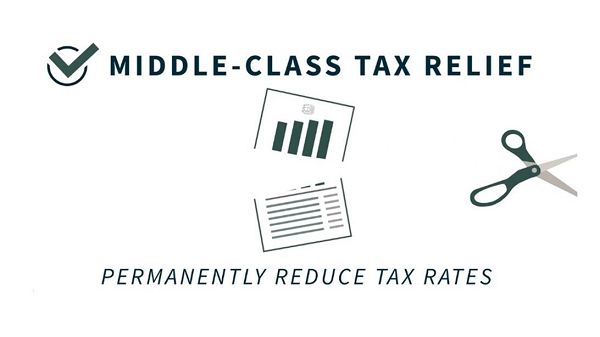 America’s tax code should be working for, not against, middle-class families. There is still time to contact your representatives and senators to encourage them to support this tax plan! Have a terrific Veteran’s Day weekend, Celebrate!